To better accommodate your needs, our fertilizer facilities are providing expanded loading hours during the spring season to service your needs. 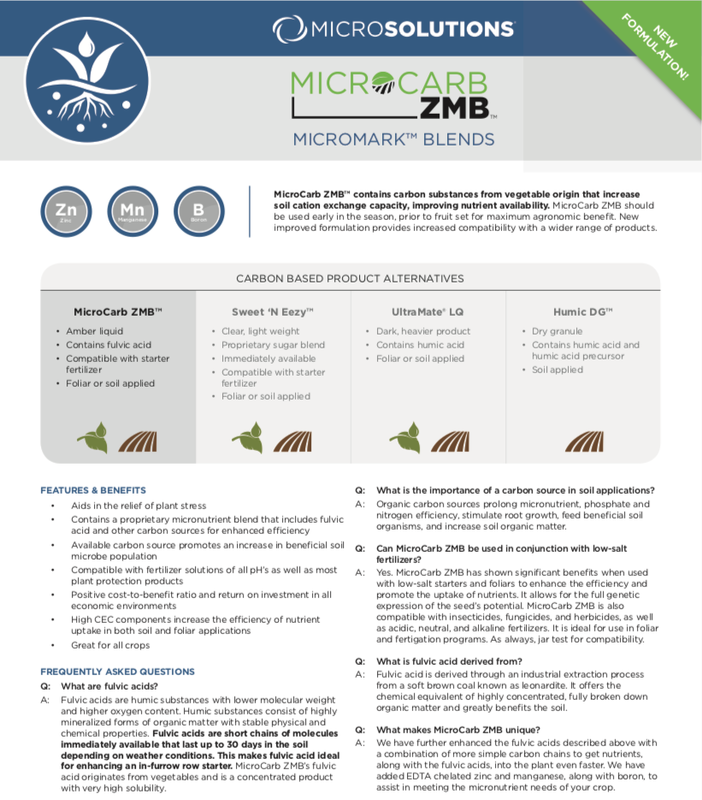 MicroCarb ZMB is a great starter additive choice for those looking for the benefits of fulvic acid and need additional Zn, Mn, and B. 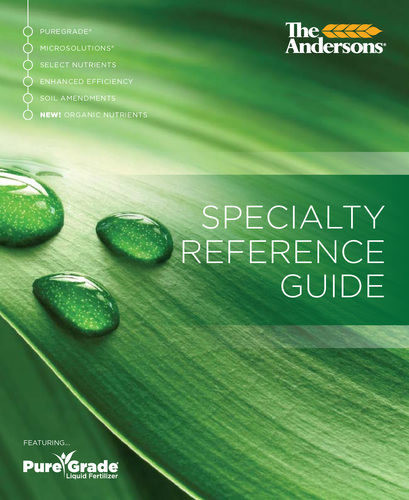 View The Andersons approved products for tank mixing with specific herbicides. PureGrade liquid fertilizer is a line of low-salt, chloride-free liquid fertilizer grades that are high in orthophosphates and may be safely used in close proximity to seeds, roots and foliage for better fertilizer efficiency. Select Nutrients improve the structure and strength of your crop by correcting or preventing nutrient deficiencies, ultimately maximizing yield. These products have been manufactured and selected for efficacy and performance. Organic crops have an intense need for products that not only feed the plant, but also feed the soil. Your crops deserve the best. The Andersons offers a range of crop nutrients and soil amendments approved for organic use. As your Partner of Choice, we offer products and services through numerous lease/supplier arrangements that bring products to your region.